I spend most of the year in the hills and have used this bag exclusively for the last five. After owning and using a Big Agnes bag I will not use another brand. The product is well designed. The bag has been great. I have used it for five years, everywhere from Arizona to Oregon. It is the first Big Agnes bag that I have owned and now I will not use any other maker. Big Agnes equipment is built to be used and stand up to the demands of the outdoors. I am proud of all my Big Agnes gear. I would have to disagree with the first reviewer. 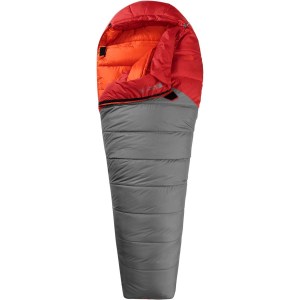 None of Big Agnes' bags have insulation on the bottom. I would suggest that anyone making an investment in camping gear thoroughly research whatever they are buying. If the manufacturer/supplier did not list the necessity of the pad, it is easily found in Big Agnes’ product literature. However, not having insulation on the bottom of the bag is actually a great benefit. 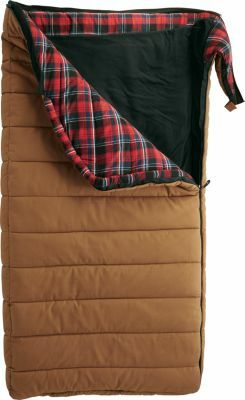 As the other reviewer noted, the pad supplies most of the warmth when you are cold-weather camping and you would likely need/want the pad anyway even if the bag did have bottom insulation. 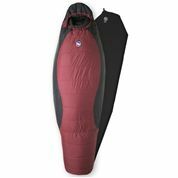 The primary reason Big Agnes makes their sleeping bags this way is that when you climb in your sleeping bag, you compress the loft of the filling underneath you, reducing its capacity to keep you warm anyway. No bottom insulation keeps the weight of your bag down and the compressibility high, major bonuses if you are backpacking! Plus, the pad is light and fits into a sleeve in the sleeping bag. In my opinion, it’s just as warm and compressible as down, yet if it gets wet it will still keep you warm (unlike down). Found this out when camping with my boyfriend and his down bag got soaked in an unexpected downpour. Incidentally, you can squeeze two people into the Big Agnes and still zip it up most of the way. If you don’t plan to use a pad, Big Agnes is not for you! Anyway, this is the best sleeping bag I have ever owned! I have camped all winter, sometimes in 3 feet of snow, and have stayed toasty all night! I've found that it is essential to make sure you are all the way zipped up and have the hood secured to keep warm. I bought mine at Sierra Trading Post (online) and it came with: the pad, the bag, and a mesh storage bag for about $160. Can’t say enough good things about this bag. It has literally saved lives! Look, when you buy a BA bag there is no insulation on the bottom. That info is all over the BA bags. If that info is missing it's most likely the retailer's fault and not BA. Or your own for not reading the product description. 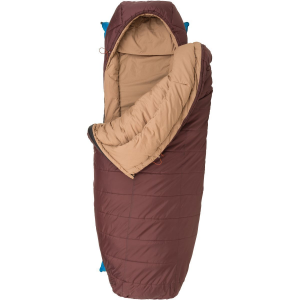 The above reviewer ignored this and then blames the bag for being cold when sleeping out. It is his own fault for ignoring sleeping outside 101, a pad is first and foremost for insulation not comfort. This bag is plenty warm but YMMV as we all metabolize and whatnot differently. Only a Big Agnes pad will fit this bag, that is important info they leave out when you buy. Second, it was 40 degrees first night out and I froze, probably because of the lack of insulation on the bottom, which is supposed to be your pad. Fourth, there is no drawstring anywhere in the hood area, so cold air flows through freely. The only good thing I found was that it is very compressible. The Yellow Wall SL 0° has been discontinued. The Big Agnes Yellow Wall SL 0° is not available from the stores we monitor. It was last seen December 19, 2011	at CampSaver.com.